OnePlus CEO Pete Lau at the Qualcomm Snapdragon Technology Summit 2018 has announced that its next flagship will be powered by the Qualcomm Snapdragon 855 Mobile Platform. The company will release a commercial 5G smartphone with carrier network EE in the UK in 2019. 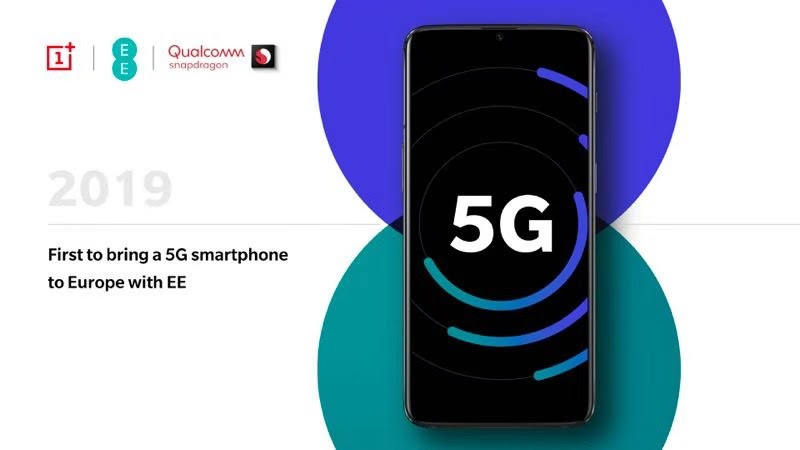 OnePlus also mentioned that it is in collaboration with Qualcomm Technologies on 5G development since 2017. In October 2018, OnePlus achieved another breakthrough in 5G research, by releasing the first 5G tweet. Both the companies, together have made significant strides in designing a device ready for 5G integration and commercialization in 2019. OnePlus only makes flagship smartphones, and we believe that the Snapdragon 855 is the best and only choice. We are thrilled by its powerful performance and 5G capabilities. OnePlus will continue to bring its users the best technology and the best user experience possible. We are proud to work with OnePlus to continue to bring breakthrough mobile experiences to consumers. Snapdragon 855 is designed to deliver multi-gigabit 5G, industry-leading AI and immersive extended reality (XR) ushering in a new decade of wireless experiences to come.